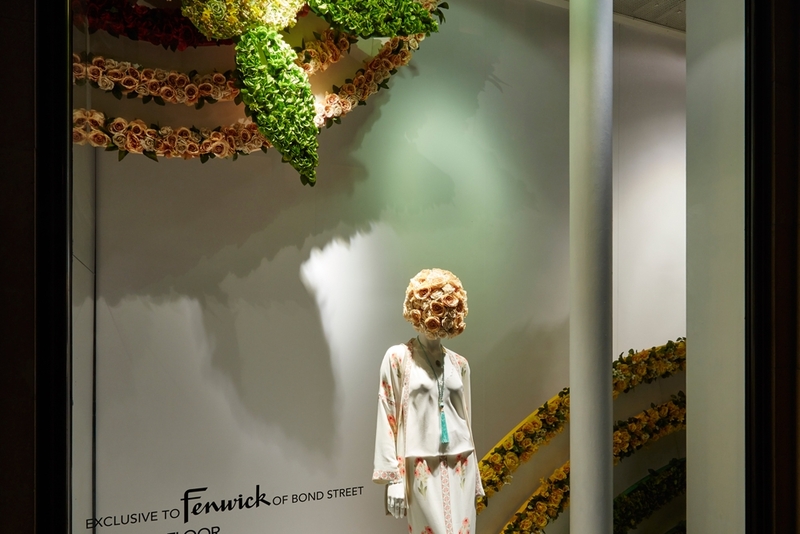 Dominating the Fenwick Bond Street fashion store windows is an elegant display of Vilshenko’s latest collection. Propability designed the window, inspired by a pattern on one of the Vilshenko dresses. Flower motifs constructed in MDF and painted were covered with close to 4,000 individual flower heads - each delicately attached to the display. Separately, removable masks were created and covered with flowers for each of the mannequin heads. The mannequins were positioned on shelves which were built in to the arch structures to position them at different heights. The overall effect is a beautiful burst of freshness and colour reminiscent of spring time.